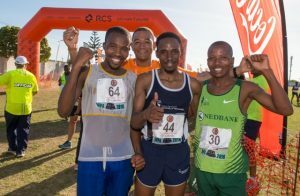 With RCS on board as the title sponsor for the 8th consecutive year, the popular Gugulethu Reconciliation Race is back this year, bigger and better than before. 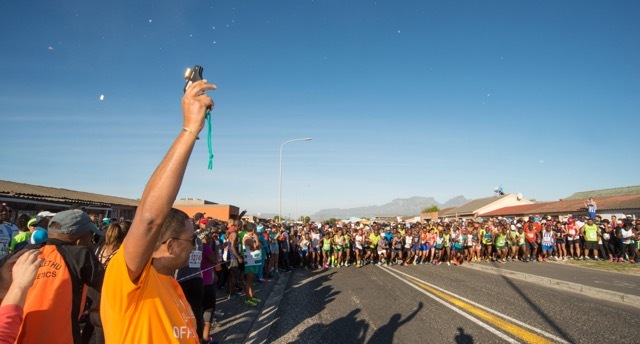 The 17th RCS Gugs Race, as it is fondly referred to, takes place in the vibrant township of Gugulethu on the outskirts of Cape Town, on Saturday 16 December – South Africa’s annual Day of Reconciliation. RCS is owned by BNP Paribas, one of the largest banks in Europe. This race, which is fast becoming one of the most anticipated events on the Western Cape’s annual sporting calendar, saw the number of entrants rise steeply to just over 2000 last year. Inspired by the national spirit of unity that defines this public holiday, the RCS Gugs Race is one of the only platforms that brings together all cultural groups in one of the city’s oldest townships, and also enables them to reach their goals – whether as serious runners, as ordinary people working at getting healthier and fitter, or simply as supporters getting up and getting out more. “This race is a wonderful opportunity for RCS to invest in the community of Gugulethu. 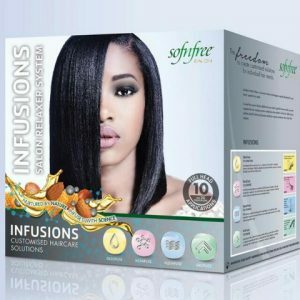 It also aligns with the company ethos ‘Let’s make it possible’, “says Adams. The RCS Gugs Race was established in 2000, a year after the passing of American anti-apartheid activist Amy Biehl in Gugulethu. The event still honours her spirit of compassion, but has forged ahead to inspire greater participation by focusing on a wider appeal and a family atmosphere. It’s a vision driven largely by Gugulethu Athletics Club Chairperson, Gladwell Ndzube who is fuelled by a desire to create a running culture among residents of this township. “The Gugulethu Athletics Club has enabled many talented club runners to reach their full potential within running circles – something we are very proud of,” says Adams. A race for everyone for reconciliation. The RCS Gugs Race is accessible to runners of all fitness levels, and includes a 4.2km as well as a 10km option. The runners are welcomed by residents as the race takes them and their supporters through the streets of Gugulethu. A charming aspect of the race is the opportunity to ‘gift’ packets of sweets to local children who line the streets en-route on race day. The route passes some of the key structures that shaped the township during the turbulent pre-democracy years, such as the remembrance stones for The Gugulethu 7 and Amy Biehl. The RCS Gugs Race has the feel of a family gathering, and includes family-friendly entertainment ‘There will be a jumping castle for the little ones, food and beverage stalls manned by local residents, and a chance to win spot prizes just for showing up on the day.